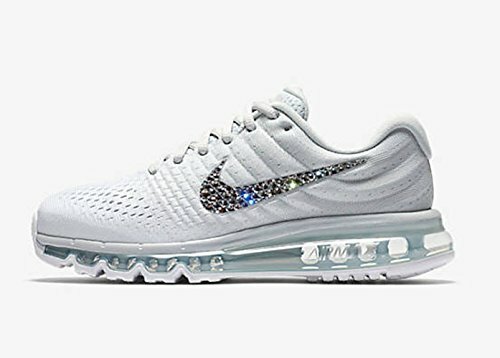 Brand New White Nike air max 2017 blinged out with swarovski Crystals on the outter Nike swoosh. Bling Nikes are the hottest trending custom Nike shoes. They give Nikes the perfect touch! Bling in style with brand new Nikes. My first pair of Swarovski Nike shoes were the perfect motivation to get to the gym every morning! The amount of compliments I got were flattering always! Diamonds + Shoes = every girl's dream gift! For the boyfriend or husband looking for the perfect gift, don't look any further!